I will be going out to take some new pictures soon, so there should be a change in theme soon enough! If you want to read more about Grey Wolves you can here on wikipedia! 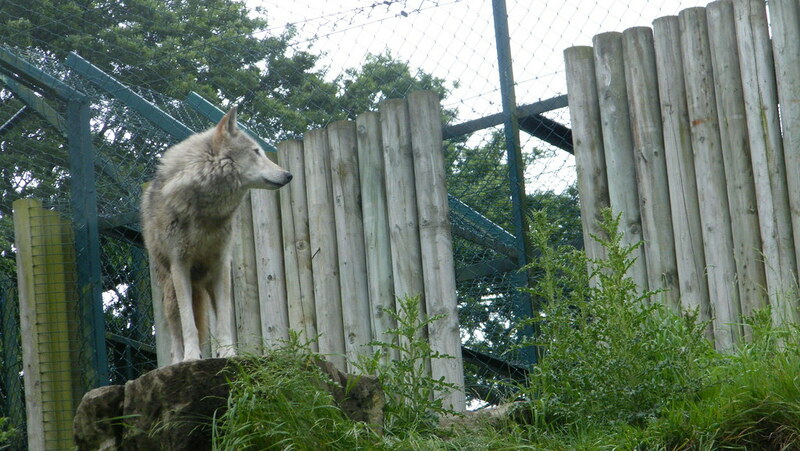 Today’s photograph is of the Grey Wolf standing on top of a rock, he looks to be scouting out the area, but it will be of no advantage to him as he is confined to his habitat in the Zoo! 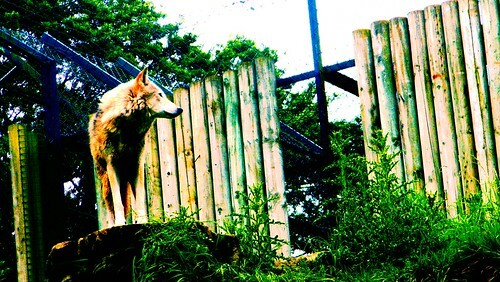 I also have my own version of the photograph which I edited in Photoshop, the wolf no longer looks grey! Today’s photograph is of a Heron that I saw in Dublin zoo. I think this bird looks mental with the way it is standing on just one of its legs! I think in a way this is probably the most artistic photograph that I have taken in this entire photo challenge so far. 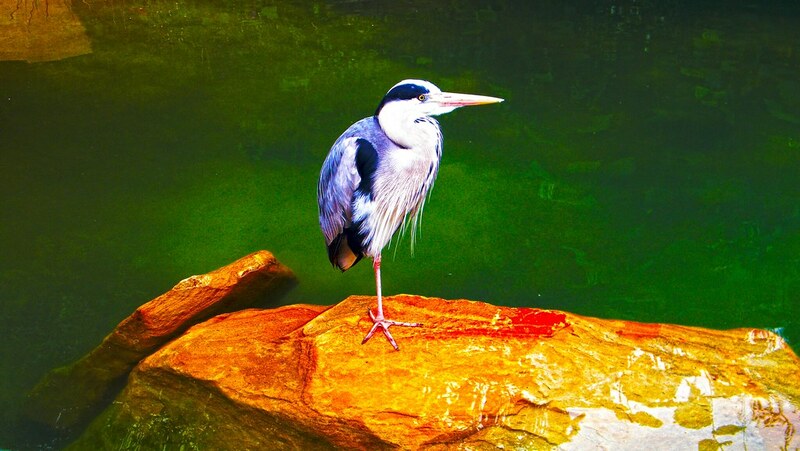 Today I have two photographs, the first is the original and the second is second is the slightly altered version in Photoshop. I like in the second photograph (the photoshopped one!) the way the rock really stands out and is a really red / rusty colour. I also enhanced the photograph and the detail in the photograph is much more apparent in it. I finished this degree achieving a Merit 1, a Merit 1 (>60%) is the closest to a distinction (>70%). Although I would have liked to get a distinction, I knew I was not going to get it, I just did not put in the right amount of work to get it! I thought that if anything I was going to get a Merit 2 (>50%) so I was surprised to see that I got the Merit 1 and I and extremely happy with that result! Whichever way you think of it, I now have a degree, and it is my first so far! Next year I am going to continue on with my education and study IT Management. I hope to aim high in that year and achieve a distinction. I always knew that next year would be the year where I have to put in the work. I get my official degree handed to me later this year, but that is not until a while after I start back to college. I am looking forward to starting my next year, it seems really interesting. If all goes to plan I will be learning all about iPhone development next year, which is definitely the best way to go, as I do not see the iPhone going away anywhere anytime soon ;). Also next year I am finally getting to be in the band new multi-million euro IT department, which already looks amazing from what I saw when I went on a short tour of the place with a few fellow college-mates! 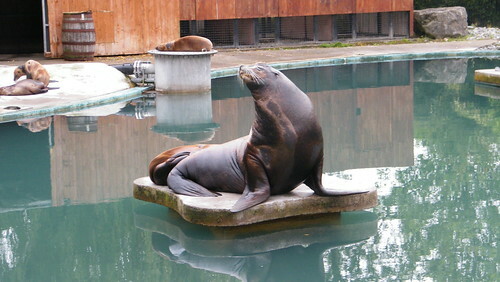 Today’s photograph is of a sea-lion, this is one of many sea-lions that you can find in Dublin zoo! I think this photograph of the sea-lion is funny in a way, he is looking very proud of himself, while I was watching these sea-lions they were making some really strange but funny noises. So below is three photographs, the first is the original photograph which I took, the second two are ones which I have altered using Photoshop. This last altered photograph that I made in Photoshop is my favourite out of the two, it has a slight brush stroke in it, also I used a fresco filter. 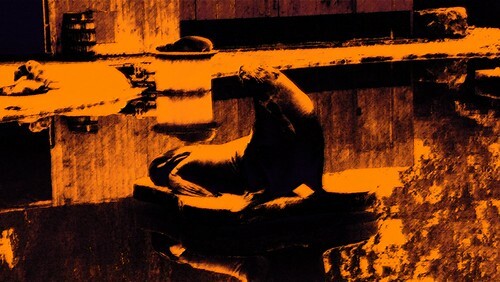 I also added in a gradient colour to give it the orange and black effect. Tonight I had fun playing about with this photograph, the photograph for today is of a Peacock. I took this photograph earlier this week when I was up in Dublin zoo. I think this bird is really beautiful looking and it’s tail is really amazing when it is opened. 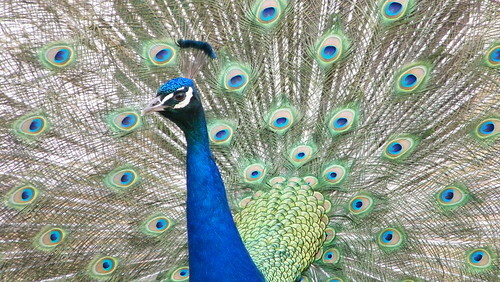 I think the final Photoshop version of this photograph came out really well, I really wanted to enhance the colour of the Peacock and I think I achieved that, if you have any critique on this photograph feel free to leave me a comment :D.
If you want to know more about the Peacock, you can here. I also created a short video of the Peacock which I recorded while I was at the zoo, the music I added to the video sounds strange so I just wanted to throw it in! Also the music is free / open-source!